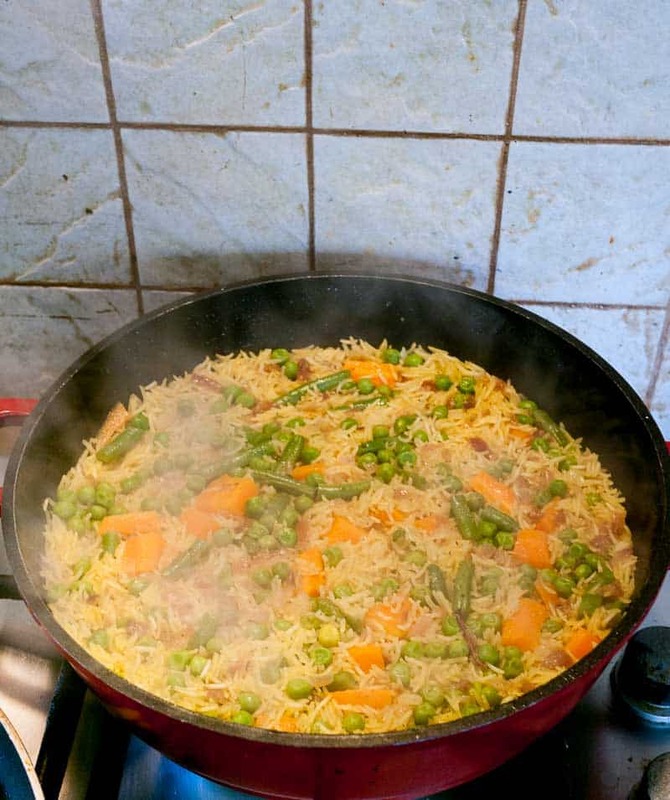 This one pot vegetable rice is a kids’ absolute favorite dish. Because it’s lightly flavored with just the right amount of vegetables. This simple, easy and effortless recipe can be served as a main course on its own for a light meal or as an accompaniment to the main course. The best part is, it takes only 15 minutes to cook. So it’s also a quick one-pot meal. Do you know those days when you want something scrumptious but still light? We often have that at our home. I usually decide that once or twice a week we must eat a light meal. Which means no meat, no fish, and no cheesy stuff either. This is one of my kids’ absolute favorite rice dishes ever since they were little. My Aadi will eat this rice without any meat or other main courses. This works great as a main course when you want something light or as an accompaniment to your main course. For example, this goes great with another kids’ favorite, breaded chicken breast also referred to as Schnitzel. 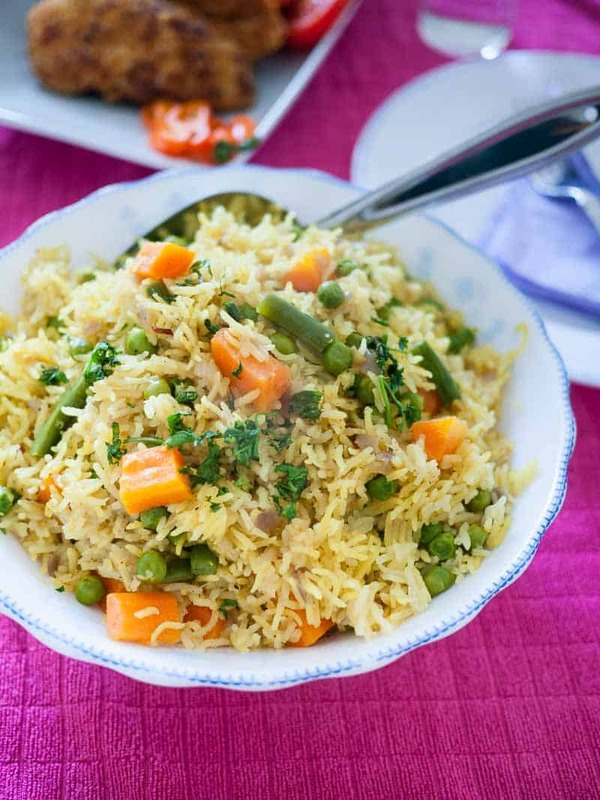 Rice – I love basmati rice and almost all my rice dishes use basmati. But you can make this with jasmine or other rice as well. Whatever variety of rice you use, I highly recommend you read the label to see the recommended amount of liquid suggested and adjust the amount of stock used in the recipe. Vegetables – I used carrots, peas, and beans today because they all cook at the same time as the rice. You can use other veggies too as long as they do not need more than 15 mins cooking time. Veggies like cauliflower and broccoli cannot be used raw. And yet, if you par-boil them you can then finish cooking them with the rice. Garlic and ginger – Great flavors that can really add so much to a dish but these can be strong in flavor if added too much. So add only as much as you can handle. 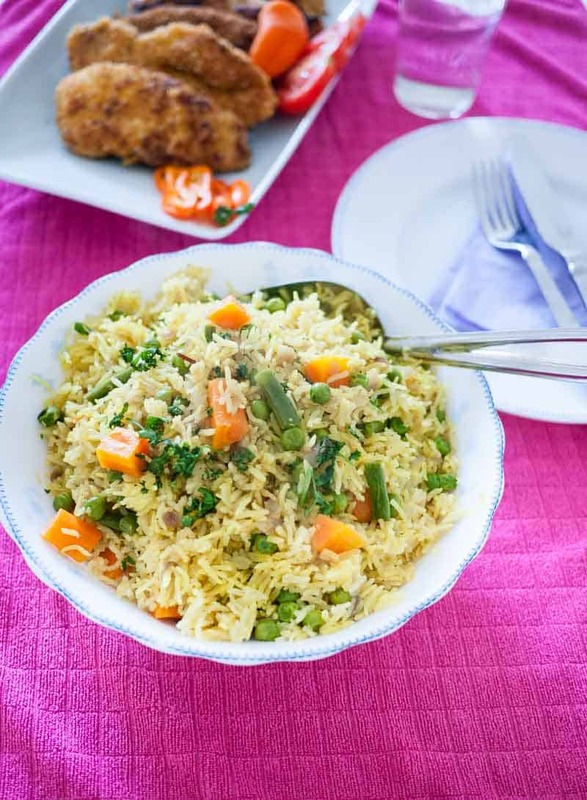 Stock – I have used vegetable stock for this rice but if you want you can add chicken or beef stock too. You can even use the same amount of liquid if you prefer to keep it more neutral. If a liquid stock is not on hand you can also use stock cubes. Fresh herbs – I am a cilantro person so I always use cilantro but parsley and a sprinkle of mint is also a great flavor to try. If using basmati or Asian rice it’s best to wash and soak for 30 mins before cooking. Use a wide face skillet for cooking rice to ensure even cooking. Saute’ onions, garlic, ginger in oil for about 2 minutes until translucent. 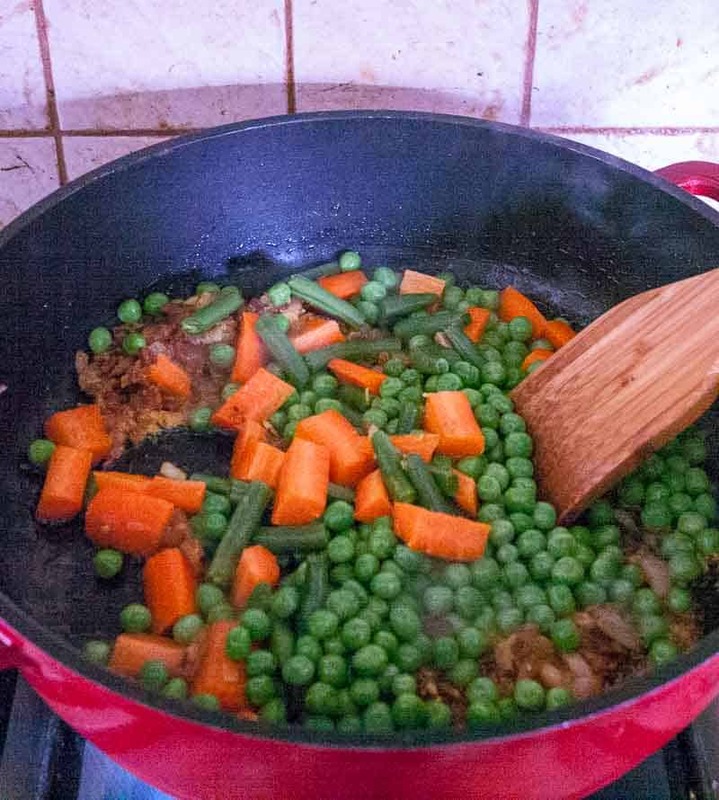 Add cinnamon, bay leaves, carrots, peas, and green beans – saute a minute more. Next, add the rice and cook on medium heat for two minutes so the rice is well coated with the oil. Add stock, fresh herbs – stir well. Let come to a boil – then lower the heat to a minimum low. Cover the pan and let cook on low for 15 minutes undisturbed. After 15 minutes – switch the heat off and let the rice rest for 10 minutes. When ready to serve – fluff the rice with a fork. 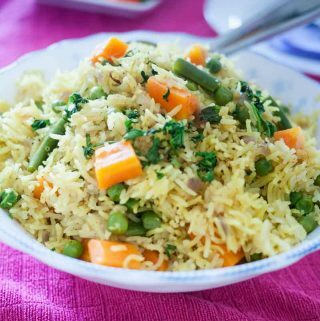 This one pot vegetable rice is a kids' absolute favorite dish. Because it's lightly flavored with just the right amount of vegetables. This simple, easy and effortless recipe can be served as a main course on its own for a light meal or as an accompaniment to the main course. The best part is, it takes only 15 minutes to cook. So it's also a quick one-pot meal. If using basmati or Asian rice it's best to wash and soak for 30 mins before cooking. Saute' onions, garlic, ginger in oil for about 2 minutes until translucent. Add cinnamon, bay leaves, carrots, peas, and green beans - saute a minute more. Add stock, fresh herbs - stir well. Let come to a boil - then lower the heat to a minimum low. After 15 minutes - switch the heat off and let the rice rest for 10 minutes. When ready to serve - fluff the rice with a fork. Thank you so much Sourav. 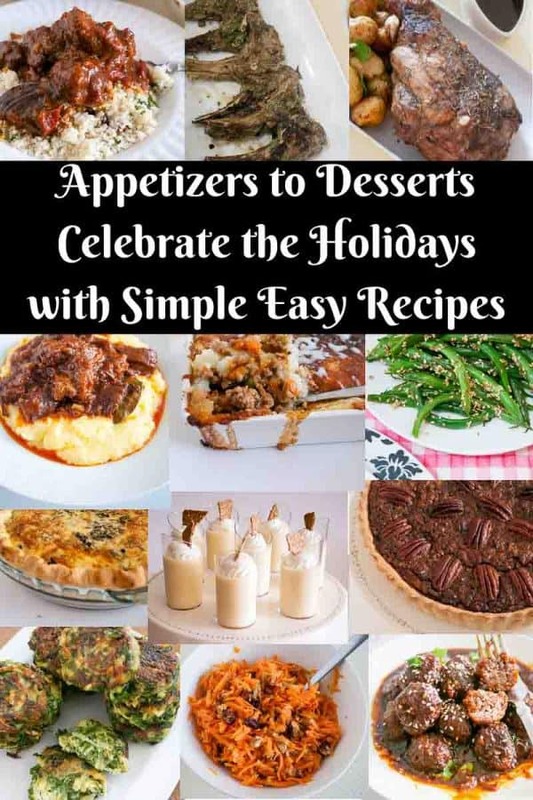 So happy to hear you have success with this recipe and enjoyed it. Thank you so much for coming back to write this feedback. Have a lovely weekend. You sound like me, trying to get the family to eat a light, meat-free meal once a week. 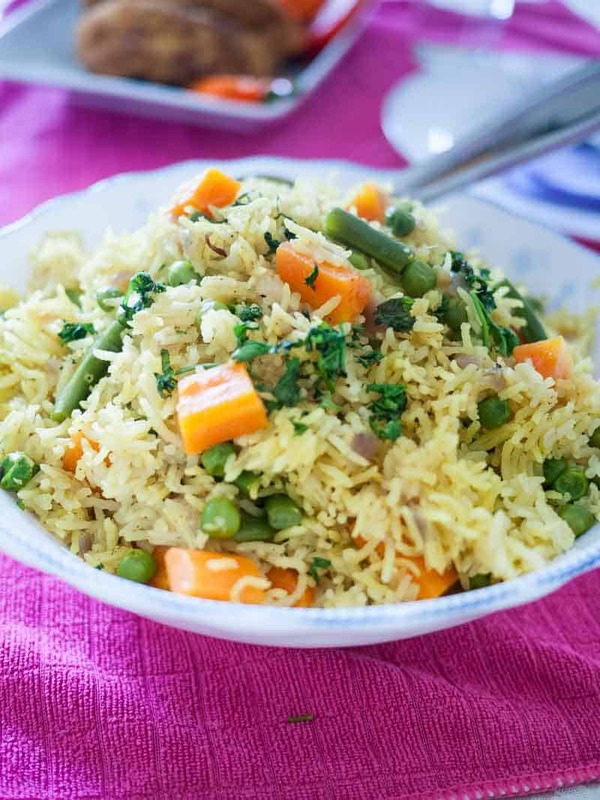 This rice dish is just perfect for using up vegetables that are languishing in the crisper. Thank you for the idea!! Thank you, Michelle. Yes, I love having a few days off meat and dedicate one day to fish.These give the kids a good routine too. 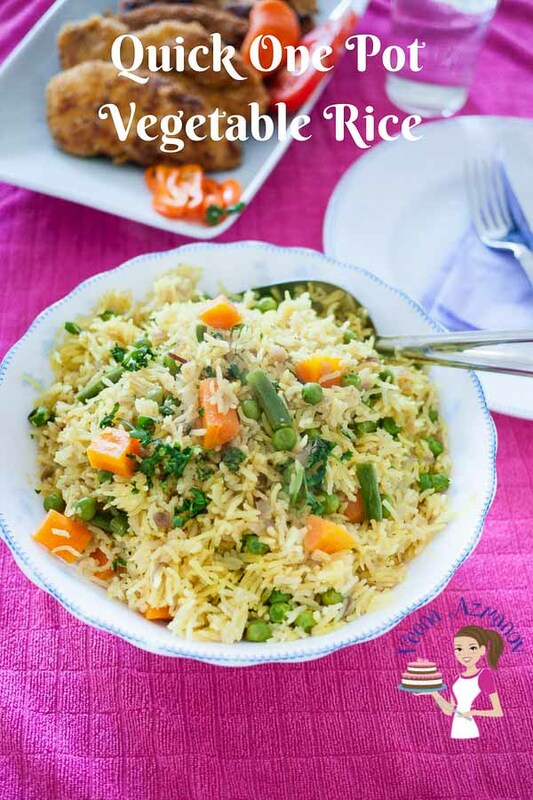 Vegetable rice is one of my daughter’s favorite things to eat and this one looks so fresh and tasty! I’m pinning this to make for her, thank you! Thank you, Kristine. Yes, this one is really a kid favorite. We don’t eat rice often enough but this would be a good way of getting extra veggies into my wee one, so I am definitely trying this. Thanks, Jacqueline – Definitely a great way to add more veggies to our diet. Looks perfect for a healthy dinner! Can’t wait to try this recipe soon! Thanks, Natalie. Let me know what you think. What a tasty way of ensuring the kids get their veggies. It looks so delicious and I love that it takes minimal time and just one pot to make too. I just love the simplicity of this dish. A great staple! I just love one pot recipes! This one looks great! I love basmati rice anyway but with the fresh veggies, garlic, ginger and that cinnamon stick? Wow! Flavor town! Me too love basmati Lisa. I like how it keeps the grains separated. This rice is absolutely delicious!! Love love love all of the veggies in it!! Scrumptious indeed! 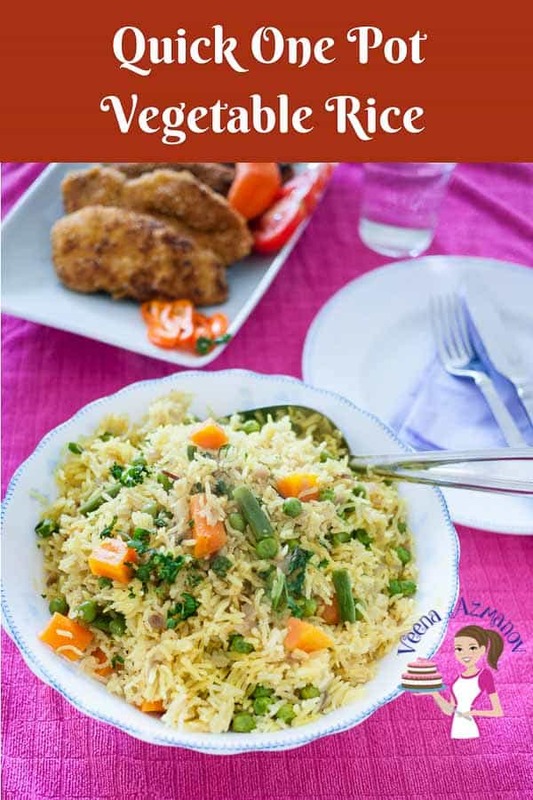 I love flagrant rice as much as I love Japanese rice 😀 and I will add ginger for this recipe . Thanks, Shiho. I hope you give this a try.